Love to dive? Love picking up trash? Need a team for the 2010 TrashFest? 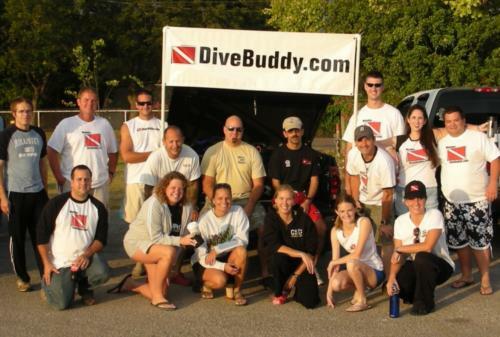 Join one of the DiveBuddy.com teams, we’d love to have you. 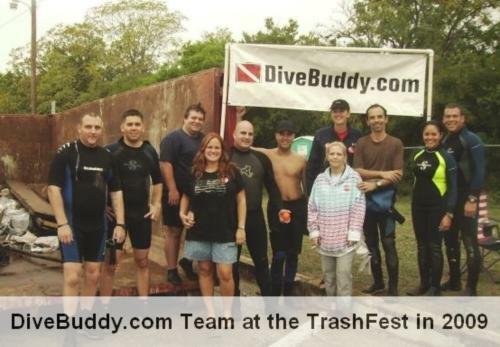 Each year, DiveBuddy members attend the TrashFest in the Comal River, New Braunfels, Texas. We clean up the mess that the tubers leave behind. In 2009, our team alone took out over 1 ton worth of trash! That’s more than all the other teams combined. Not sure what the 2010 season has in store for us...but I’ll bet we’ll get our fair share of the trash. We will meet at 8am, October 2nd, 2010 at the Comal County Fairgrounds. If you need a place to stay, check out the Wingate (call 830-515-4701 and tell them you’ re with DiveBuddy for special pricing). Everyone meets for free BBQ and drinks after the event. And lots of prizes are given away each year. The Texas Gulf Coast Council of Diving Clubs does a great job organizing this event. The river is 3 to 12 ft deep and it is 73-75 degrees 365 days a year. I don’t recommend wearing a shorty while picking up trash. Unless you don’t mind getting scratched up. There can be a lot of sharp objects in the river. I dive the river a lot and I wear a 3mm and gloves. Help! Anyone have a spare toddler wetsuit they can bring to Trashfest? My 3 year old wants to get in the water. Most parts of the Comal are 15ft or less. It is 71 degrees year round. I recommend a 5mm or at least a 3mm wetsuit. I’m bringing my 5.
can you tell me how deep the comal is ? how cold or will a 3mm shorty be ok for diving in the comal? thanks. see you there.